Peter was born in South Korea and currently lives in Edmonton. 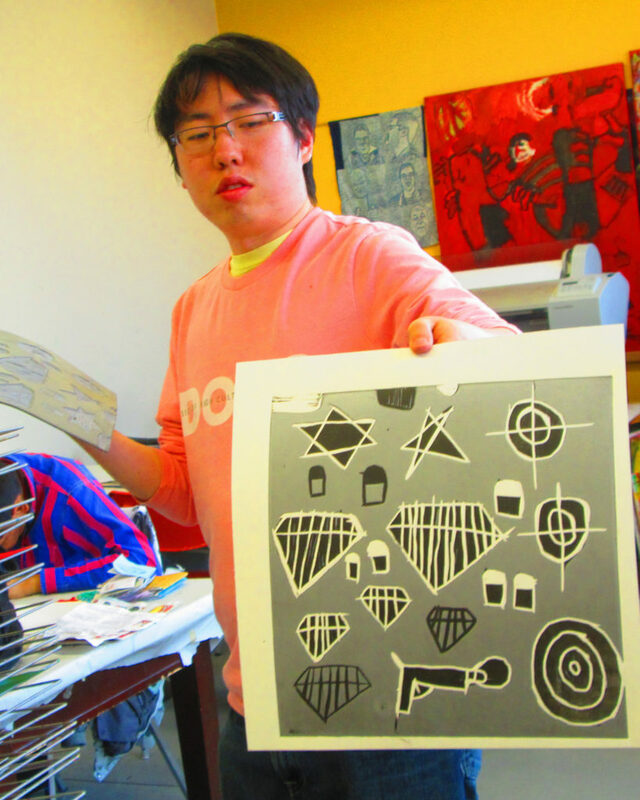 He is inspired by many topics in his art, from comic and video game characters, to gem stones and magic, and even “fake food.” He is an expert reductive linocut printmaker; his prints are multi-layered, detailed, and are typically composed of fields of colour dotted by floating shapes and objects. He also enjoys drawing his own versions of popular comic book characters.